It is time to pack away the bulky sweaters and heavy boots and prepare your closet for Spring! For the woman on-the-go or moms with minimal time on their hands to put a lot of thought into the outfit decision making process each morning, I’m here to help you take the guesswork out of staring slack-jawed into your closet. Not only are these outfits fresh and spring-y, they’re also mix-and-matchable. So goodbye, guess work. Hello, YES WORK! This look is a simple combination of solid colors, but with a pop of texture with that distressed, light denim jacket. And those grey, sued booties aren’t hurting the look either. This look is casual and muted. I am loving the grey, cuffed skinny jeans, sneakers and that striped scarf. This is a great look for running errands. I really like the monochromatic look with this outfit. It’s dark colors, but with the fresh top knot and open sandals, it manages to stay bright and airy. 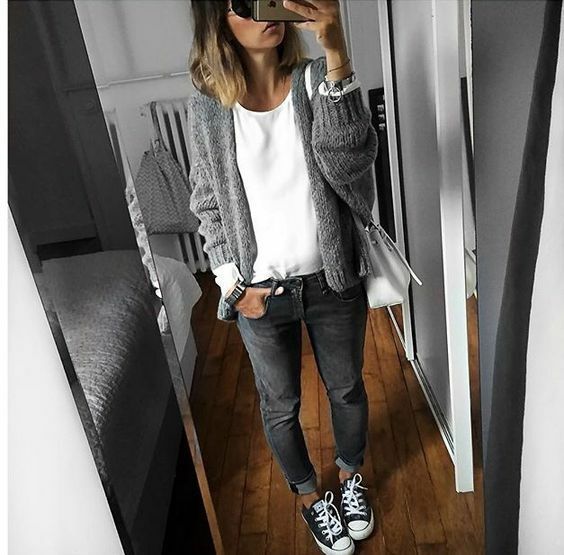 Playing off of the addition of texture to a outfit made of solids, these acid washed, black jeans and knit, open-front cardigan bring together this casual grey look for spring. I am all about comfort and function. This look combines the casual elements of a soft, weathered grey sweatpants, gorgeous rose-colored velvet slip ons and a put together finishing piece in that soft pink cotton jacket. Total outfit goals here. Bomber jackets are all the rage this season. I am loving the loose, casual grey top paired with the bold, floral bomber jacket. This look really screams “SPRING!” to me. Nothing screams fresh and fun quite like a soft pleated dress. This grey pleated dress paired with black stilettos is a perfectly put together outfit for a business meeting or interview. 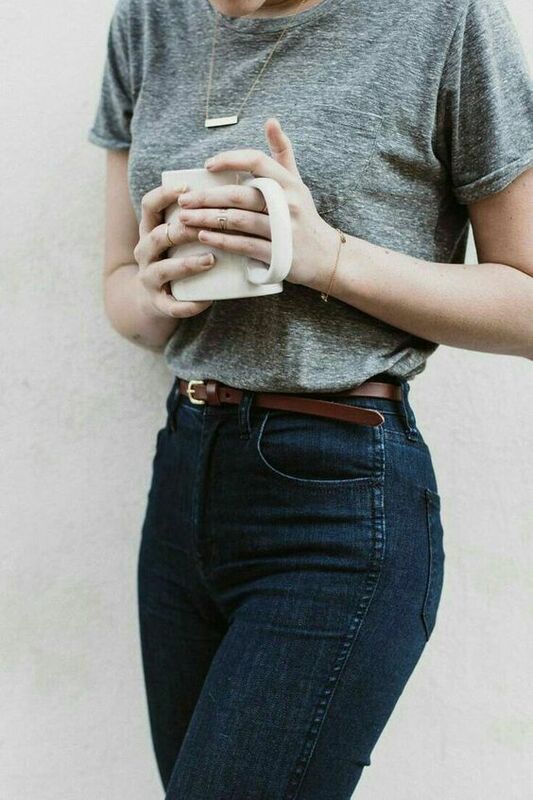 You may think this is the ultimate mom jeans outfit. And you’re right. It is. But dang if it doesn’t look super comfy, yet stylish. Here at Mom Spark HQ, we’re all about the boho look. This short dress and cardigan combo are giving us major heart eyes. We can all stand to live in a jumpsuit. They are the easiest things to dress up or dress down. This day grey jumpsuit paired with a rockstar leather jacket and pumps is giving me life.